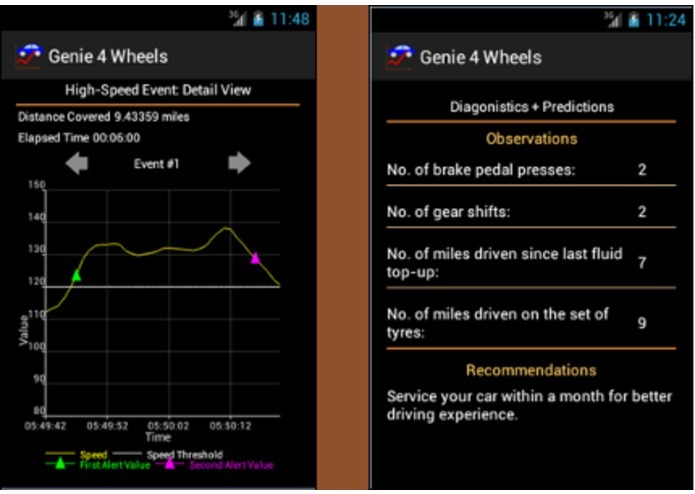 Genie-for-Wheels is an android application, which allows the drivers to monitor driving data in real time, provides continuous feedback on your driving style by analyzing the data as well as gives real time prediction regarding your car. 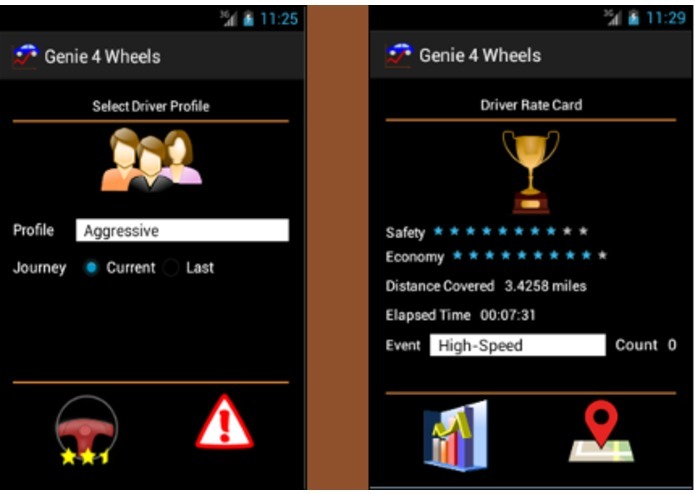 These features of the app together helps the driver to improve the driving which eventually leads to huge savings of fuel over time. 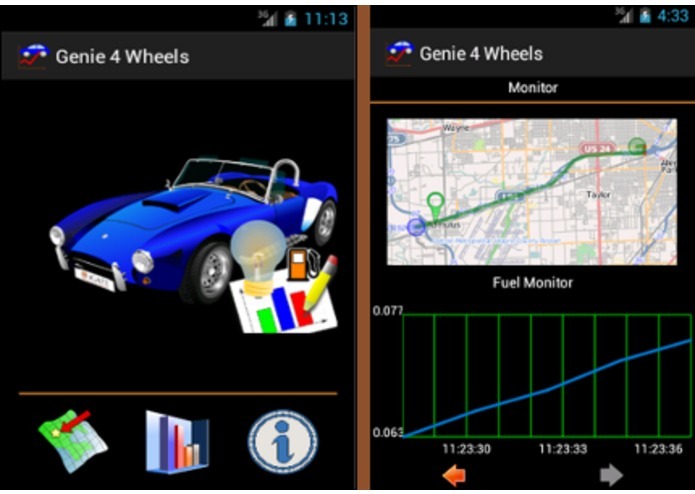 The application needs Android 2.3 or above.